Joining the ranks of the Platinum collection, 3LAB presents Super Cream, a skin booster with an advanced, targeted delivery system unique to 3LAB. 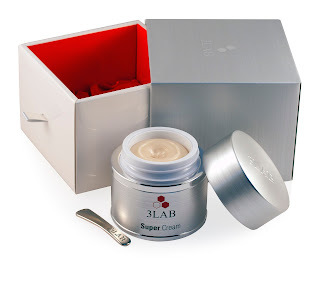 The first of its kind in our industry, this super charged cream utilizes breakthrough X50 and Intelligent Targeting Device Technology (ITD) to reverse the signs of aging. This “smart” technology effectively delivers collagen and elastin producing peptides directly to damaged cells for maximum efficacy and minimal waste. Combined with 3LAB’s signature Nano Claire GY ™ and apple stem cell technology, this cream provides total skin rejuvenation to combat fine lines, wrinkles, and skin imperfections in a matter of days.